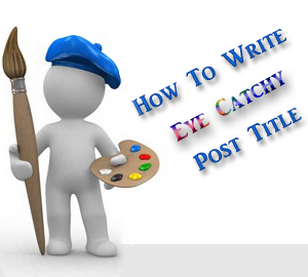 Its more important and i urge you that your post title should not be exceeded 66 characters to get illustrative result in search engine while if it exceeded the target then your blog title will be seen broken in search engine. Again i would strongly recommended for better view and seo friendly blog/post description meta description should not be exceeded 145 character. To exceed the limilt you will get broken in search engine. Now you can clearly see the above results where post title written within the limits of 66 characters are not broken and well result while exceeding limits it becomes unaffected. same as the description you written in 145 characters has better view and while exceeding the limit than some texts appear broken in search result. Whenever goes to write blog description/ post description and Post title than write them in required limits to attract more and more traffics to your blog. Now to count your characters for specific task mentioned above use the PBT count character tools below. Remember this tool will include to your counting numbers, letters, spaces etc. Very useful info buddy. I am keen to know how you put this character counter into your blog post? Please tell me. Thanks bro nice site for webmasters. Nice share for blogger users. However, self hosted wordpress blog already contains lots of seo plugin which counts number of characters in meta description and also in title. Thanks Ravi Brother for liking our hard effort. Thanks Abdul Bro for your hard appreciation cheers up.